Happy Hump Day! 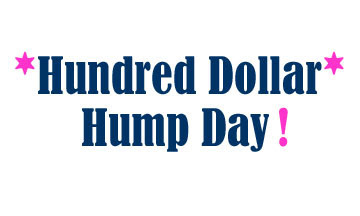 For my new readers, Hundred Dollar Hump Day is a weekly post I do about cool home decor items that I find for $100 or less. I provide links to and prices of each item if you're interested. I don't get paid to promote any of these products, I just really like them! Happy shopping! 1. This Moroccan Accent Lamp is on sale at Pottery Barn for $29.99, regularly $79. I think that it would look super cute in a sunroom or screened porch. 2. This Kitchen Roll Organizer (also from Pottery Barn) is a cute way to store paper towels and foils. Two of the rolls even have serrated edges. Hello more drawer space! On sale for $36.99, regularly $49. 3. These Zigzag rugs from West Elm are adorable. I think the yellow and gray one would look awesome in the nursery design that I put together. The 2'x3' size is on sale for $39. 4. I had been eyeing this Patterson Black Panel and bench from Crate&Barrel for our entry way, but couldn't stomach paying the high cost. Well, the Panel is on sale for $99, regularly $299! The bench is sold separately. 5. 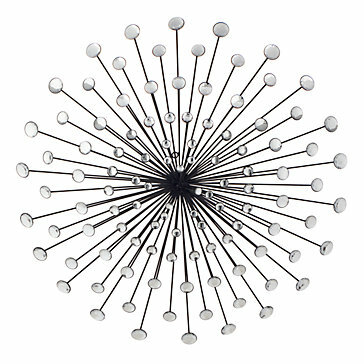 From Z Gallerie, this Round Plaque would look great over a bed or in a hallway. On sale for $99, regularly $139.95. I'm wondering if I could sneak it into my guest bedroom design?